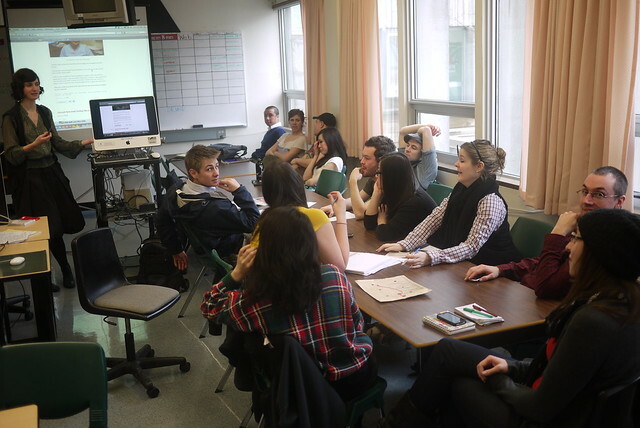 A few weeks ago, Langara College instructor and Rabble editor Alexandra Samur asked me to guest speak to her online journalism class. Needless to say, I accepted immediately, jumping at another public speaking gig. The focus was primarily on online branding and freelancing. I really enjoy public speaking. I have a long background in acting, theatre, improv, and performance. I remember thinking I wanted to get into speaking on social media and career diversity in media and communications. Then quite shortly thereafter I was invited to speak at the Vancouver Board of Trade and UBC. I took this as another opportunity and step forward in that particular career objective. I get just as much (actually probably more) from speaking to students as they hopefully get from me. I spoke about myself, how I blogged and tweeted my way to a career while in j-school. 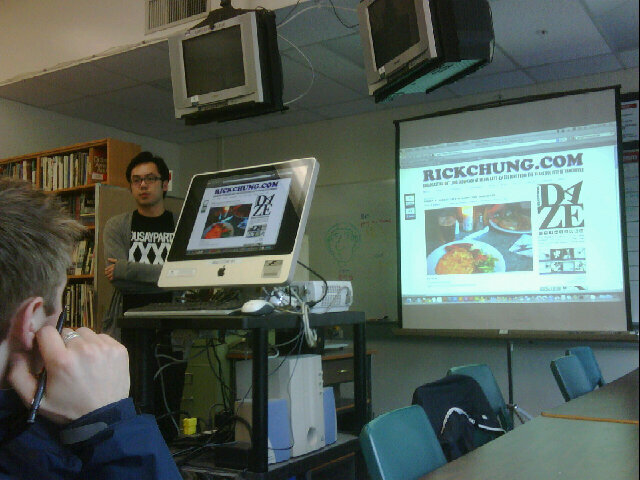 I'm use to a more broadcast environment and Langara's journalism program is heavily print based. This, however, lent well to my online work and knowledge. I talked mostly about how to use blogging and social media for journalism successfully, sharing a few of my own stories. It's always interesting hearing responses and feedback from peers. A few students were very eager, asking a lot of specific questions while others seemingly sat there, listening (hopefullly) somewhat intently. Worried at my own effectiveness, I asked at the end if I provided any useful advice or information. Everyone seemed to nod and be affirmative, easing my tensions. Guest speakers from industry were always my favourite part of journalism school. Hearing stories or experiences and career progress always inspires me. I had a couple longer chats after class with Global BC Morning News overnight writer Elizabeth Morrison and aspiring international journalist Mike Hager. Liz from Ontario had a lot of question about broadcasting and sought advice about transitioning from print to radio and television. Mike wanted to know who to follow for his international and world news interests. I was happy to chat. I most enjoy the engagement and discussion aspects of public speaking. I tend to ramble if left on my own especially when I see blank faces staring back at me. FYI, you can follow Langara Journalism tweets with the hastag #LJ11. It's still pretty strange not being a student in these situations, especially just leaving the BCIT Broadcast Journalism program in December and guest speaking to a rival program, a few short months later. I relish these opportunities to both teach and learn. I aim to do more and get better.